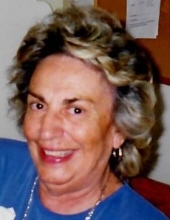 Bobb, Jeanne (Nana), It is with great sadness that the family of Jeanne (Nana) Bobb announce her peaceful passing on September 19, at her home in Pleasantville, NJ, at the age of 87. Jeanne is survived by her loving husband of 67 years, Marvin; children, Richard Bobb (Cana), Port Republic, Nancy Maiuro (Greg), Ventnor, and Elaine Brown (Stephen), Atlantic City; son-in-law, Jeff Jenkins (Kelly) Absecon; grandchildren, JC Jenkins (Nicole), Nicole Richmond, Amy Scalfaro (Joseph), Michael Oraschewsky (Llana)Michelle Maiuro, Andrew Maiuro, Christian Anderson, and Stephen Brown; great-grandchildren, Jordan, Madison, Joey, Ella, Brenden, Cort and Lorelei; and life-long friends, Bernice Rogers and Pat Dalton. She is preceded in her passing by her beloved daughter, Norma Jenkins; siblings, George Maros and Nancy Dhopesh; and her parents, Theodore and Tina Maros. Jeanne was born on 12/10/30 in Atlantic City, NJ. She graduated from Atlantic City High School in 1949. After meeting Marvin at Kerstetter’s Ice Cream Parlor, they married in 1951. Jeanne devoted her life to her children, grandchildren and great-grandchildren, who fondly remember her good humor, her sharing of songs and penchant for storytelling. She was a stickler for proper table manners and cooked so well that you would be a fool to forget yours. Jeanne was generous to her friends and family alike. She never forgot a face or a name, and, upon meeting someone new, Jeanne would peel away their history until she found a common bond. She loved following politics and was always ready to discuss current events. An intimate, private service will be held for family. For online condolences, please visit www.parselsfh.com. To send flowers or a remembrance gift to the family of Jeanne Bobb, please visit our Tribute Store. "Email Address" would like to share the life celebration of Jeanne Bobb. Click on the "link" to go to share a favorite memory or leave a condolence message for the family.